MANA de Imperial Valley will be hosting numerous events throughout the year. You can check our calendar for upcoming meetings and events. We look forward to seeing you! MANA de Imperial Valley will host various events throughout the year. Our events are open to the public and we encourage our community to pay us a visit. Not a member? No problem! Our community events are a perfect opportunity to join MANA de Imperial Valley. 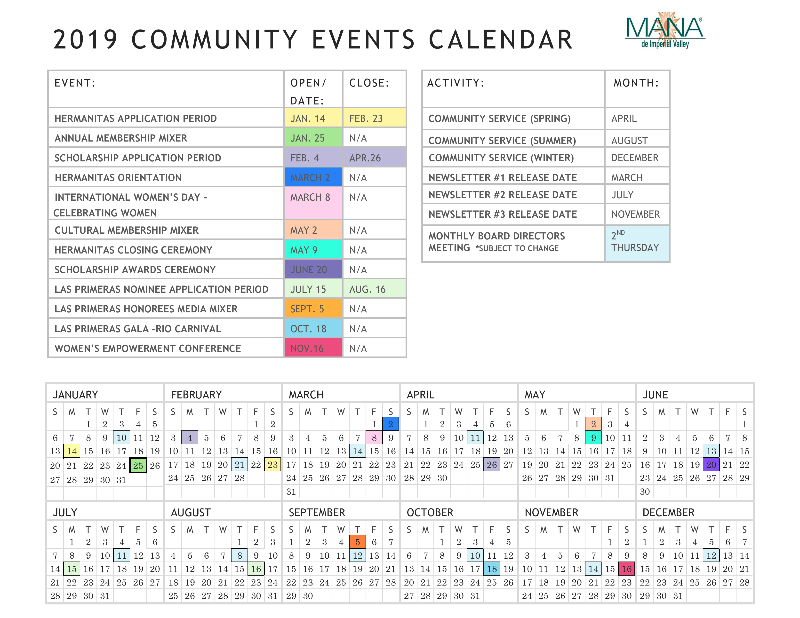 Please check our 2019 Community Events Calendar for more details. ​Our cultural membership mixer will be held on May 2, 2019. For more information please see our 2019 Community Events Calendar.